Tower Hill School will be closed from Thursday, April 18th through Friday, April 26th for Spring Break. Join us for our annual Bear Fair - games, music, crafts, snacks, food, ice cream and PRIZES GALORE! ONE special guest is invited to join us for a Mother's Day Tea on Monday, May 6th or Tuesday, May 7th at 9:15 a.m. in Webster Hall. Spring Enrichment ends on Friday, May 17th. Please join us for our annual Memorial Day Parade followed by the 2nd Annual Confetti Run. Friday, May 24th at 9:15 a.m. in the Tower Hill Church Courtyard. School is closed on Monday, May 27th for Memorial Day. End of year fun days - Save the date for some end of the year fun! 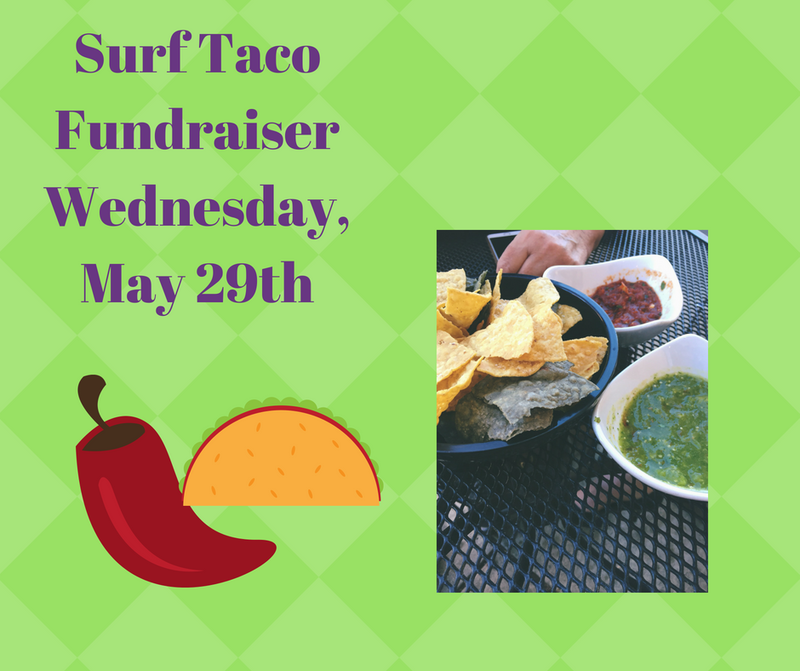 Skip cooking and head to Surf Taco for either lunch or dinner (or both lunch or dinner). 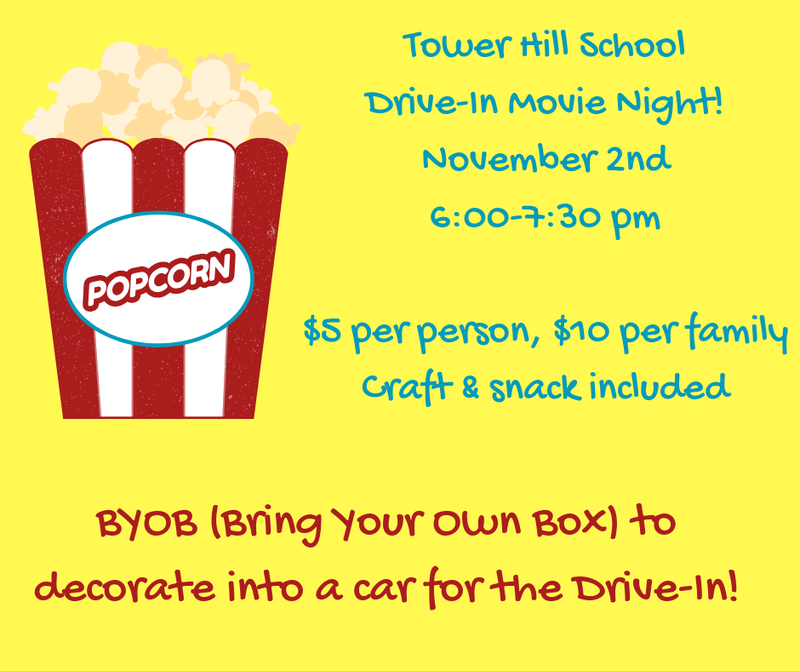 A percentage of the proceeds from anyone showing a flyer will be donated to Tower Hill School. 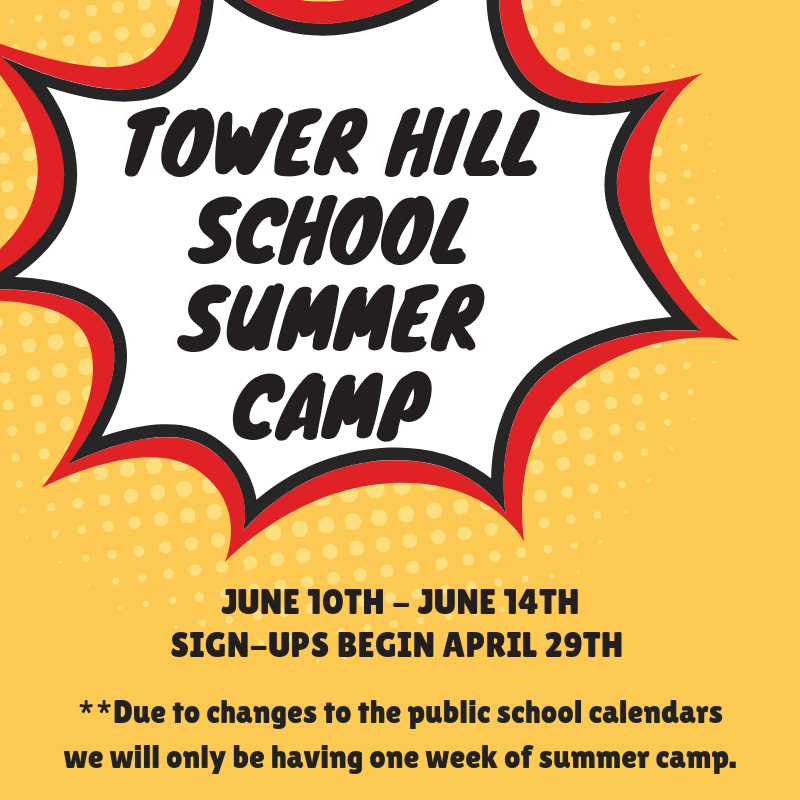 Join us to celebrate our graduating students on Wednesday, June 5th in the Tower Hill Church Sanctuary at 10:00 a.m.
Join us for camp at Tower Hill School. Continue the fun and play while the big kids are still stuck in school. Students will celebrate Easter during class on Tuesday, April 16th or Wednesday, April 17th. There will be no enrichment on either day. Join us for an evening of entertainment by Enda Keegan and friends - Irish music, stories, songs, bag pipers, dancing and light refreshments. A fun filled family event! 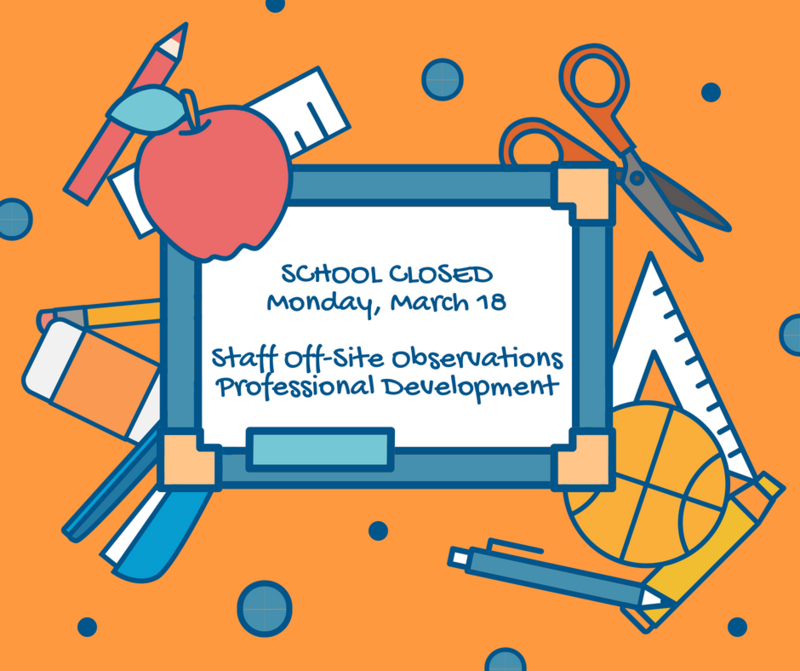 School is closed on Monday, March 18th for a staff Professional Development Day. Staff will travel to Wolf Hill School in Oceanport to observe in their preschool and Kindergarten classrooms to learn new ideas on how to motivate students. Monmouth Audubon Family Night - Penguins! The Monmouth County Audubon Society will be hosting a “Family Night” program at Tower Hill Church at 7 p.m. on Wednesday, March 13th. This year’s Family Night program features “Penguin Pointers” presented by Jenkinson’s Aquarium. Waddle into the world of penguin biology, geography, care, feeding, and conservation. Live animals will be on hand to delight and entertain. Refreshments will be served, and door prizes will be awarded. All classes (including the Kindergarten) will dismiss at 11:30 on Wednesday, March 13th for a staff meeting. There is no enrichment today. 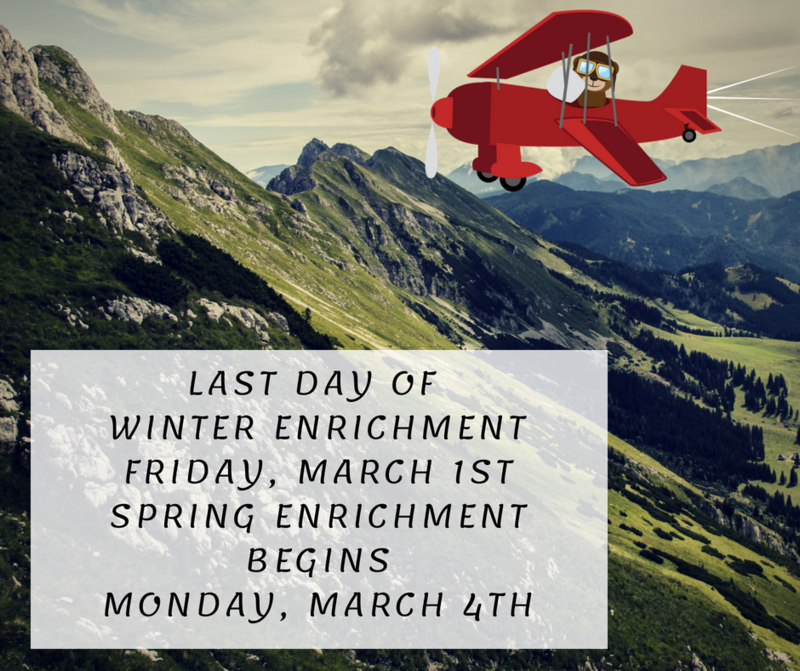 Winter Enrichment end on Friday, March 1st with Spring Enrichment beginning on Monday, March 4th. Tower Hill School will celebrate Read Across America Week with a variety of fun events culminating in a Book Parade on Friday, March 1st at 9:15 a.m. in the Tower Hill Church Courtyard. Come dressed as your favorite character from a book. School is closed for Winter Break from Monday, February 18th (President's Day) to Friday, February 22nd. 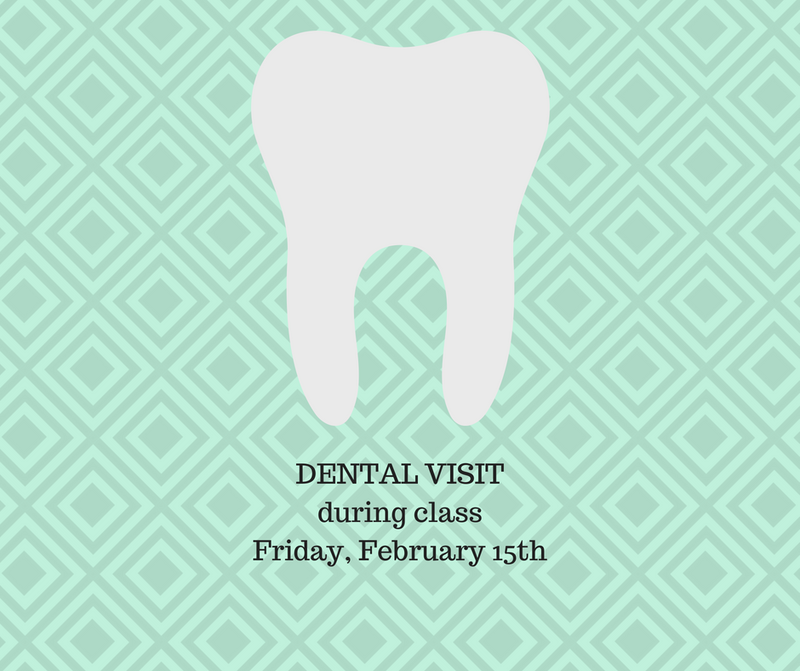 Dental technicians from a local office will visit our students to discuss good dental hygiene with them. Be prepared for them to come home discussing sugar bugs! Parent Teacher Conferences will be held on Thursday, January 31st for our Preschool 2.5's. Mrs. Chen & Mrs. Kelly's 2.5's WILL NOT have class on Thursday, January 31st. Conferences for our Preschool 3's, Pre-Kindergarten and Kindergarten students will be held on Friday, February 1st. Preschool 3's, Pre-Kindergarten and Kindergarten students WILL NOT have class on Friday, February 1st. 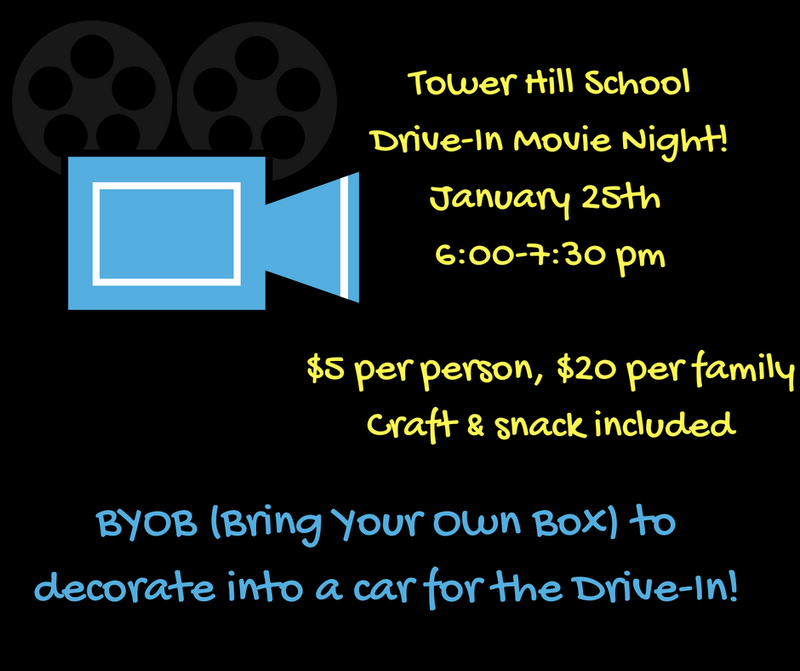 Our final BYOB (Bring Your Own Box) Movie Night will be held on Friday, January 25th at 6:00 p.m. in Webster Hall. Crafts and snacks will be provided. Please help us collect food for SHHHHHHHH (it's a secret) as their pantry is running low this time of year. Items can be dropped off from January 22nd through February 1st. School is closed on Monday, January 21st for Martin Luther King Day. School is closed on Friday, January 18th for our teachers and staff to engage in some on-site Professional Development training to further hone their skills and enhance our curricular offerings. School is closed from Thursday, December 20th through Tuesday, January 1st for Christmas Break. School will re-open on Wednesday, January 2nd. Please join us in the Tower Hill Church Sanctuary on your assigned day to watch the Kindergarten Christmas Pageant followed by some Holiday caroling. Forget getting dressed for school and come in your pajamas for storytime and a chance to celebrate the amazing job we did (because we know we'll do a great job) collecting items for the Pajama Program and Lunch Break. 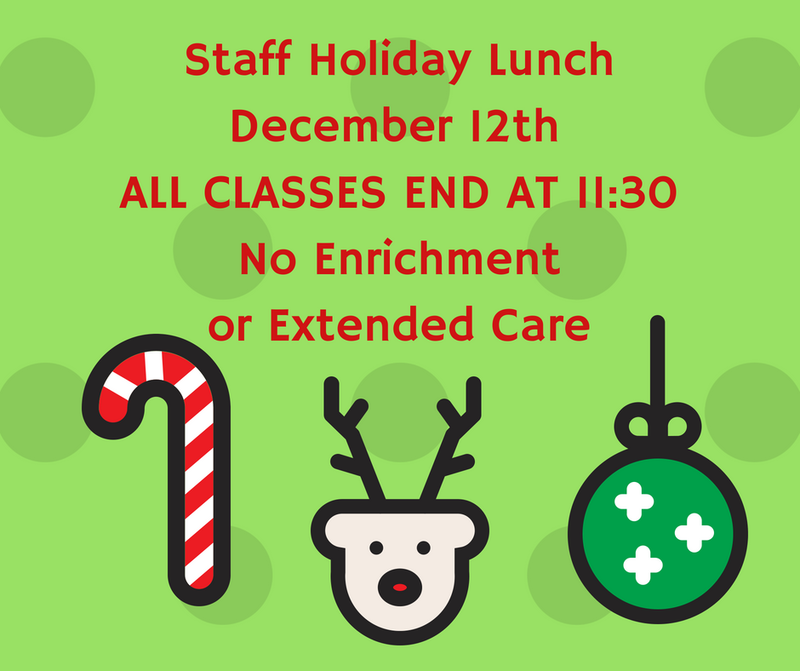 The Tower Hill School staff will have our annual Holiday Lunch after school on Wednesday, December 12th. ALL STUDENTS (including the Kindergarten) will dismiss at 11:30. There is no Extended Care or Enrichment this day. Fall Enrichment ends on Friday, November 30th. Winter Enrichment begins on Monday, December 3rd. Please join us as we collect NEW pajamas for The Pajama Program out of Red Bank and NEW (or LIKE NEW) books for Lunch Break. Items can be dropped off beginning Monday, November 26th and ending Monday, December 10th. School will be closed from Wednesday, November 21st through Friday, November 23rd for Thanksgiving Break. Pre-K and Kindergarten students will be inviting ONE guest to attend our annual Thanksgiving Feast. The Pre-K feast will be held in Webster Hall and the Kindergarten Feast will be in St. Andrews Room. School is closed on Thursday, November 8th and Friday, November 9th for New Jersey's Teacher's Convention. Please join us for a Drive-In Movie in Webster Hall. Remember, this event is BYOB (Bring Your Own Box). Craft supplies and a snack will be provided. This year we've purchased back drops and sets in order to make your holiday photos special. Please join us as we raise funds for Tower Hill School and hopefully snap you the perfect picture for your Holiday card.